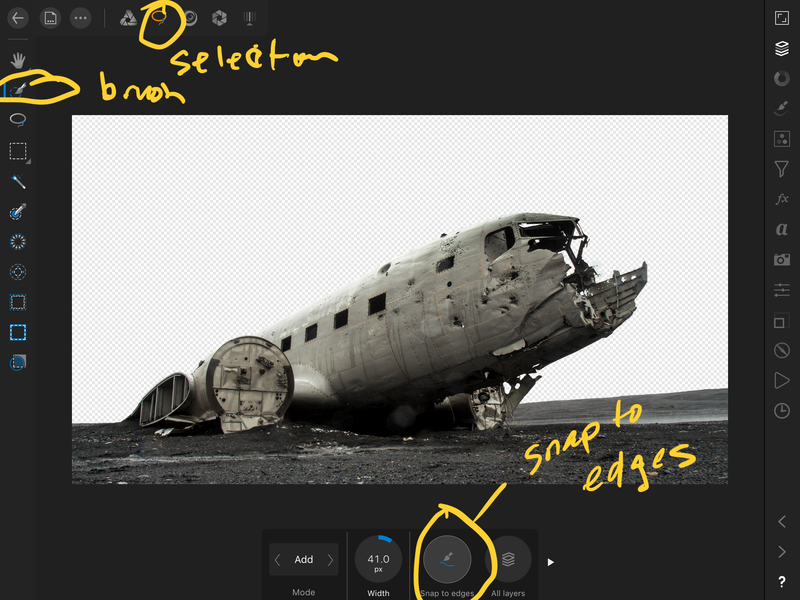 My normal develop persona work flow for the Mac desktop version of Affinity Photo is to use the selection brush as a new later and "snap to edges" for a clean selection. Ie if I shoot backlit portraits I will select the subject in a new layer in the develop persona and work on that alone without touching the background. For the life of me, I cannot find an option to snap to edges for the selection brush in the iPad version of Photo. Is this not an option? For iPad it is in the Photo persona not available in the Develop persona.